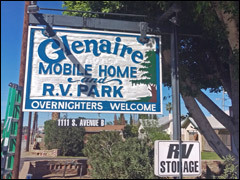 Welcome to Glenaire Mobile Home & RV Park, an age 55 and better community! 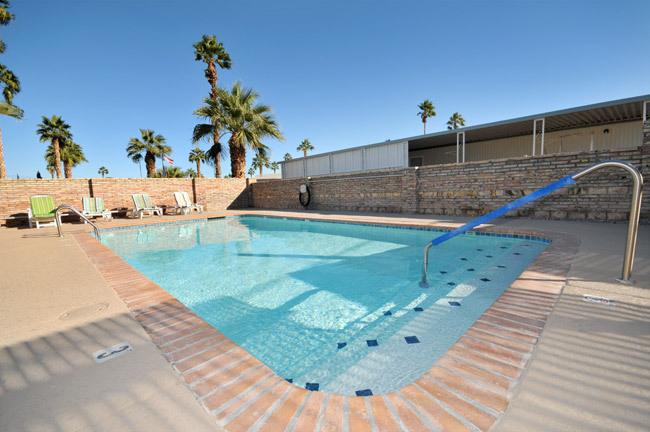 Situated directly off of Avenue B, we offer all the conveniences of being located in the heart of Yuma. Whether you are staying overnight or all season, we will do our best to accommodate you during your stay. We even reserve a few spaces for you last minute over-nighters. In addition to our great pool, we have many other amenities including a club house, cable TV, paved streets, laundry rooms and showers. You will also find that each space has full hook ups, including telephone.